Matthew Frank is stepping down as CEO of Zodiak Rights after 20 years with the UK distributor, to be replaced by former BBC Worldwide chief Steve Macallister. 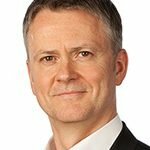 Macallister, formerly president and MD of BBC Worldwide’s sales and distribution division, will take over the CEO role at the distribution and rights exploitation arm of Zodiak Media from January 13. Frank’s departure follows that of his brother David Frank, who C21 revealed would be leaving his role as CEO Zodiak Media in September last year. Marc-Antoine d’Halluin was subsequently announced as his replacement and took up the role in October 2013. “Following the departure of my brother David, it felt like a good time for me to handover the reigns to someone new at Zodiak Rights,” said Frank. Macallister joined BBC Worldwide in 2007, having previously managed the distribution business for Disney ABC International Television, the international television distribution arm of The Walt Disney Company, in Asia Pacific. He left BBC Worldwide in March 2013 following a shake-up at the company. Frank joined Zodiak in 2010 when the firm spent £150m to acquire RDF Media Group, the production and distribution company founded by his brother, which he joined in 1994. RDF Rights subsequently became Zodiak Rights and now distributes a catalogue of around 20,000 hours of content. Top shows include The Secret Millionaire, Totally Spies, Fort Boyard, Being Human and The Returned.